In the middle of the sixth century, many Indians and Persians were living in China, and Turks, who traveled on horseback through Central Asia to Persia (modern Iran), were in power north of the Great Wall. These influences transformed the figures at the enormous complex of Buddhist cave temples North Xiangtang Shan from the linear abstraction of the Northern Wei style to a more rounded, three-dimensional one. 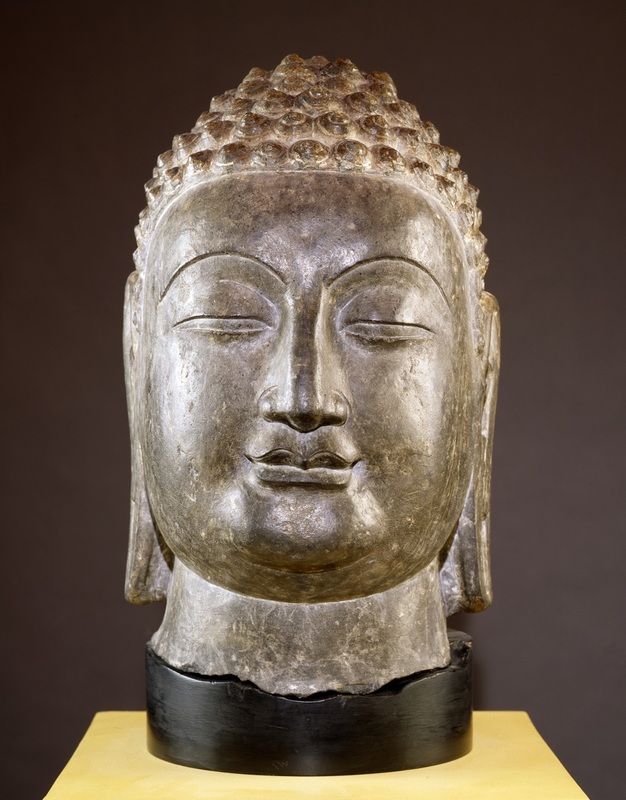 This head may have belonged to a seated image of the Buddha. An almost geometric simplicity differentiates the sculpture from its Indian and Central Asian sources. The crisp, direct carving and almost mathematical perfection of this work is similar to those of images remaining at the site.